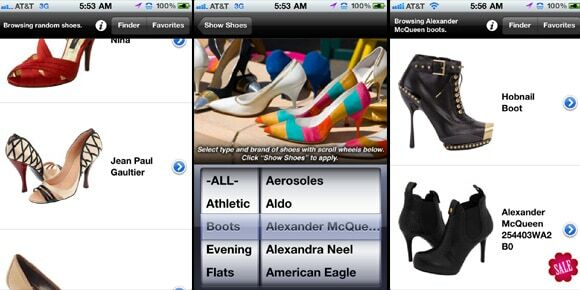 An interesting application, Rate My Shoes will allow you to display your infatuation for shoes to the world. If you have got a pair of exceptionally exciting shoes, use the application to share its photos with others. People sharing the similar passion will love to rate your shoes. Feel like a proud shoes owner if you get some great reviews and ratings. This is an application that can be used offline and it allows looking at tens of thousands of stylish shoes whenever you have spare time. The search feature of the application can be used to look out for specific shoes by entering style, brand, occasion, purpose or other criterions. What more! If a pair catches your attention, the app will help you find the nearest retailers for the same. Add your favorite styles to a personal list for viewing later. A useful application for frequent travelers, Shoe Size Converter will help you convert your shoe size in different possible units. In other words, the application will display the size in the unit acceptable at shoe stores of the city or country you travel to. It is a simple shoe application to ensure that you buy a good pair of shoes in the right size. I have even reviewed this application in my blog sharing discount coupons on brands such as Finish Line and Brooks Running. To be honest, I didn’t really find anything bad about this! How many ways of tying the shoe laces do you know? An iPhone application called Ian’s Laced HD can teach you not five or ten, but 52 ways of lacing shoes. Each of these ways is illustrated in an easy-to-understand manner and can keep your entertained. Moreover, you can proudly showcase your new talent to others who didn’t care to but iPhone handsets. Customize a pair of Reebok shoes adding your own details and designs. The Design Your Own Reebok application has features like choosing colors, materials and tweaking different shoe areas. Share your personal designs with friends or buy the customized pair that will be unique only for your feet. The iPhone application developers have indeed added to the fashionable interests of people. Shoes being among the top fashion accessories form a great part of these applications. A writer with a passion for iPhone apps, Costea also writes for a site sharing brooks shoes coupons and finishline promotion. These Finish Line coupons and Brooks Running discounts can help you save on your shoes.